While I did my best to cut the board strakes to a fair curve, I had my moments. Most of the boards when viewed from the right angle would show less then an ideal curve shape. 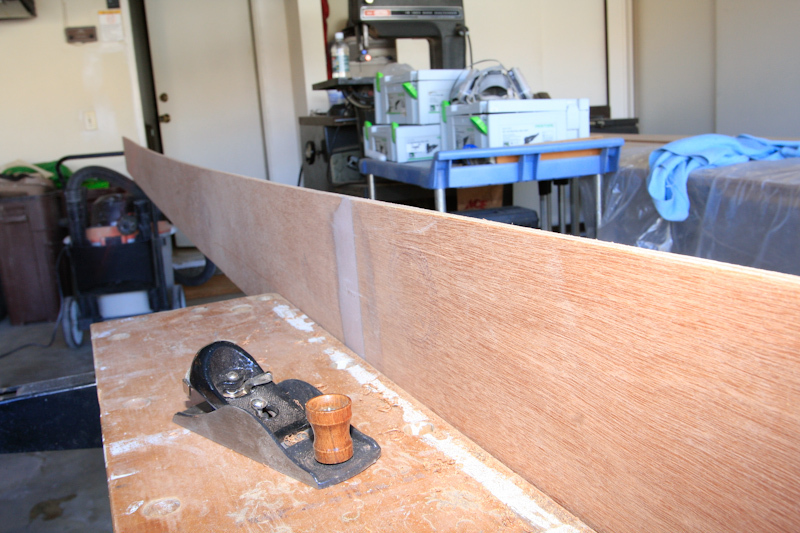 To improve the curve to an acceptable look, I placed each board in my work table and planed the curve for a good look. I also rounded the edges slightly. Once each board is attached to the hull, all mounting screws and clamps are removed. 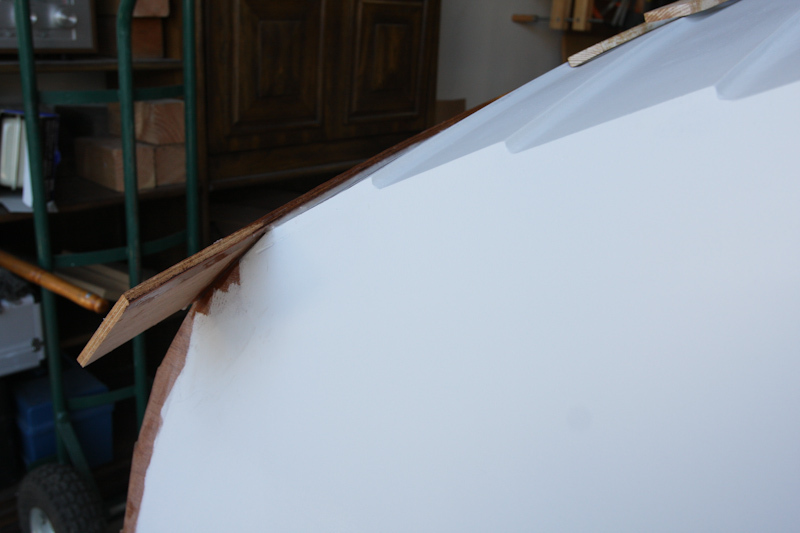 A final fairing coat of epoxy is applied to the joints, and nail holes are filled. Ends are cut off with a pull saw, and sanding of the board is done . 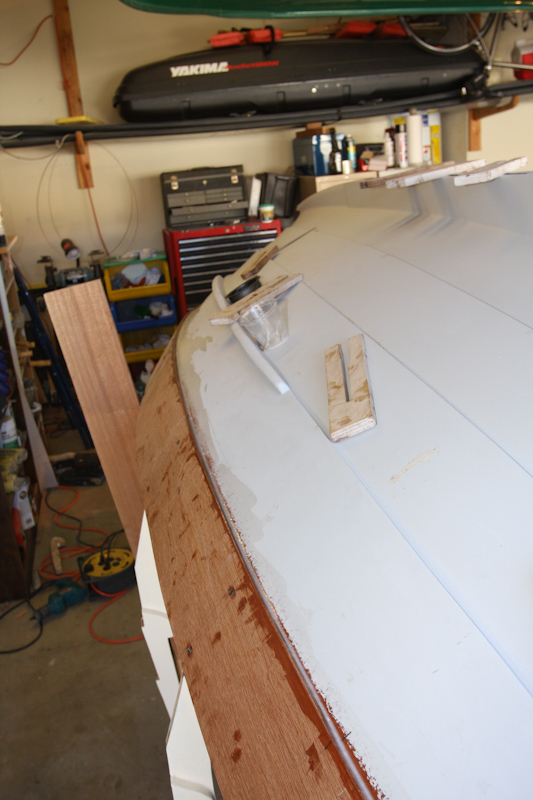 Smoothing out the board, the bilge keel makes a nice bench rest. OMG!! The blog was behind. You have made amazing progress. I really am so impressed.